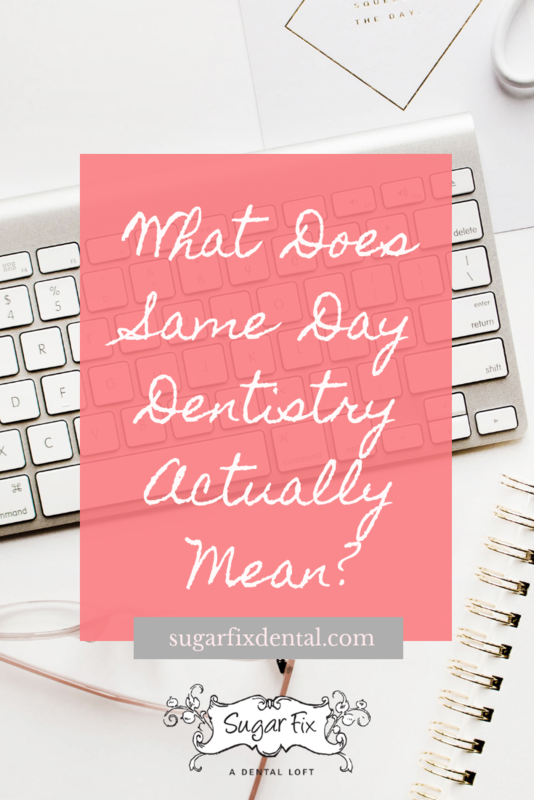 You’ve probably seen us post about same day dentistry before, and maybe you’ve wondered what that actually means. Surely, it can’t possibly mean EVERYTHING gets done on the same day, in the same appointment, right? That’s exactly what it means. Same day dentistry actually means your entire service happens in one day, in a single appointment. We Love Same Day Dentistry! It might seem crazy because we’ve been conditioned to expect more complex procedures like crowns to take place over the course of several appointments and several weeks. Not anymore! 3D CAD-CAM technology allows us to make the process easy and convenient for you. No more wearing temporary pieces or taking multiple afternoons off of work to get something taken care of. We’re all about one-and-done procedures! But Will I Be Sitting in the Chair All Day? Would you believe us if we said you’ll be out of here in about as long as it takes to watch your favorite movie? Honestly. And that’s not just some random comparison we’re making… you actually CAN watch your favorite movie because we have Netflix, streaming television, music, and Bose® noise cancelling headphones so you can really relax. Save money – Our pricing is competitive, often about the same (or less!) than other dentists. You’ll also save since you’re not coming in for multiple appointments! Reduce risk – You can get your permanent crown right away, reducing your risk for further injury. Resume normal eating – you can get back to your normal life in a day! Extra precise – We take digital impressions using a small oral camera, allowing us to custom make your crown to perfectly fit your mouth. Save more of your tooth – Same day dentistry often allows us to preserve more of your tooth, which is always a good thing. Less sensitivity – We use porcelain to craft our crowns, which means no more hot and cold sensitivity due to temperature-conductive metal. Less anesthetic – You will only need to be anesthetized once rather than multiple times for multiple visits. Do you have questions about same day dentistry from Sugar Fix Dental Loft? We’d be happy to chat with you and see if this is a good option for you! You can give our friendly team a call at (773) 883-1818.